Actually, Punai beach has not known yet as tourism object. This beach is kind of natural beach with its white sandy and few of granites. 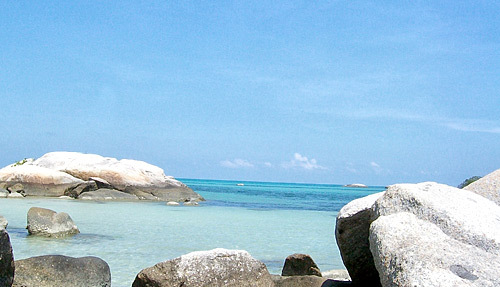 This beach is located about 93 km of Tanjung Pandan or 18 km of Dendang District. It is about 11/2 hour of Tanjung Pandan. Punai Beach is stay at end south side of Belitung Island. This beach is also the place of the fishermen to looking for fresh fish. So, the visitors can enjoy fresh fish from the fishermen. This beautiful beach is suitable for having sport activities, such as swimming, fishing and also snorkeling. Because it’s natural beach, Punai beach can fresh your mind and make you feel comfort in spend your trip here. It is also suitable for the adventurer to get their different adventurous.